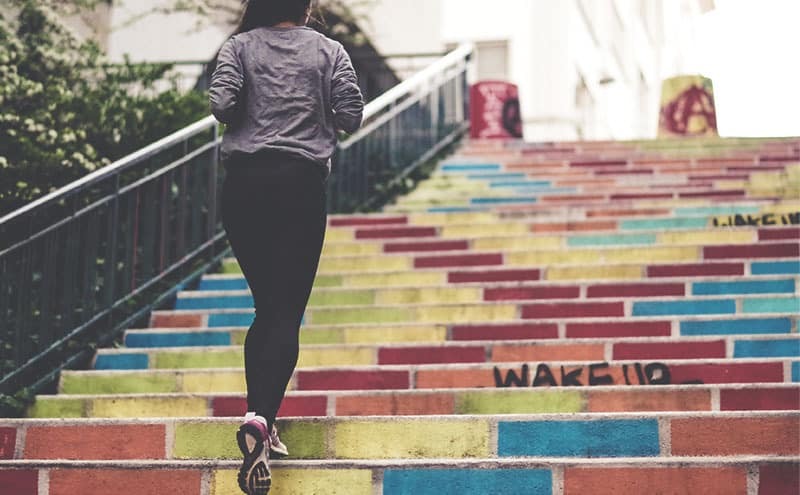 Tight and sore leg muscles are a common complaint among many people, whether they’re active runners, regular exercisers or those who lead a more sedentary lifestyle. The best leg roller utilises pressure applied from your own strength to alleviate discomfort in the leg area, which often helps reduce pain in other parts of the body. Textured surface for more effective myofascial release. Durable product with steel core. Good for shin splints and injury rehab. Good for recovery and rehabilitation. Variety of sizes and densities available. Comes with instructional imagery and one-year warranty. What Is a Leg Roller? A leg roller is a lightweight, handheld device, which is used to provide self massage for the leg area. It’s made up of a number of plastic or rubber beads threaded onto a firm central rod, with handles at either end. It’s used by grasping the handles and rolling the beads over a certain muscle group. The pressure from this and the surface of the beads helps to release tight muscles and myofascial tissue. Because the device is handheld, it’s easy to vary the pressure used and possible to use the product in many situations. Who Needs a Leg Roller? A leg roller can be used by people of all ages and backgrounds for many different issues. It’s particularly useful for those who do a lot of high-impact training, such as runners, as they frequently suffer from tight and sore muscles in their legs. However it’s also very useful for those who do any kind of exercise or training, and is effective for releasing muscles that have tightened up through overuse or as a result of a sedentary lifestyle. A leg roller provides a form of myofascial release. The fascial system comprises all of the mesh-like connective tissue in the body, which supports the internal organs and links all of the muscles. This fascial layer can become tense for many different reasons, including injury, overuse during a particular activity, or as a result of bad posture or inactivity over a long period of time. While tight fascia may not be immediately noticeable, over time it can result in reduced freedom of movement and increased pain in the body. How Do I Choose the Best Leg Roller? There are a number of leg rollers available in varying sizes, densities and textures. It’s best to get advice from a physical therapist or fitness professional before selecting a roller, as they can recommend to you the best density, size and texture for your requirements. Low density leg rollers are best for sedentary or inexperienced users, while higher density products are more beneficial for those who are more active, especially if their muscles are already accustomed to being released through rolling or massage. Shorter rollers measuring up to about 17 inches are best for the leg area, as they’re more apt at releasing smaller, harder to access muscles. The massaging surface of a leg roller can be smooth, which is generally better for inexperienced users, or textured, which is preferable for more experienced athletes as it provides a more targeted, intense massage effect. What Is the Best Way to Use a Leg Roller? A leg roller can be used many ways and on many parts of the body. There are a lot of online tutorials and videos on YouTube which provide information on this, but if you’re a first time user or you have a specific issue it’s always advisable to consult with a physical therapist or fitness professional, as they’ll be able to guide you in the best methods for your needs. In general, the best way to use a leg roller involves grasping the handles of the roller, and running the massaging surface over different areas of your leg. It’s easy to increase or decrease the pressure as the muscles release and your pain threshold changes. It’s important to actively relax your muscles when using the roller, and to use it directly on your skin or through very light clothing for best results. Frequent use with lighter pressure applied is more effective than applying maximum pressure, and while some relief is usually felt instantaneously, longer lasting results require regular use over a long period of time. A leg roller can be used to warm up the muscles before exercise, and when doing this it’s best to spend around 30 seconds on each particular area. The roller can also be used during exercise to release tension and cramping, and after a workout to speed up muscle recovery. It’s important to focus on the most fatigued muscles when using the roller during and after exercise, and if pain from a weak muscle is felt at any point it’s beneficial to vary the pressure on this area between soft and firm. For those who are more sedentary, it’s most effective to use the roller at regular intervals throughout the day to prevent muscle stiffness. What Are the Features and Benefits of a Leg Roller? As leg rollers are available in a selection of sizes, textures and densities, the features and benefits vary depending on your personal needs. Products with a higher density give a more intense pressure, and tend to be more durable, while lower density products are better suited to inexperienced users and less active people. For the leg area specifically, it’s best to use a smaller sized roller in order to easily access all of the muscle groups. Longer rollers are useful if you’re also wanting to massage larger areas of the body, like the back, or if you have a larger frame than average. However they’re less portable than smaller products. Rollers with smooth massaging surfaces provide an even pressure and are usually more versatile for different areas, although they’re more likely to slip as they have less friction against the surface of the body. Rollers with a textured surface tend to provide more intense, targeted pressure on problem areas and tight spots. The best leg roller will increase flexibility and mobility through myofascial release, and improve circulation which helps to quicken recovery. It also aids in injury prevention and increases muscle endurance. What Is the Best Leg Roller? With so many products for myofascial release available, trying to select the best leg roller can be somewhat overwhelming. We’ve made things easier by selecting five of the best leg rollers on the market, and evaluated each one of them for you on benefits, quality and price. This leg roller features nine myofascial trigger point beads which provide a deep tissue massage that helps to lengthen muscle fibres and increase flexibility. The central steel core allows you to apply varying amounts of pressure to the muscle group, and the compact size means the product is both portable and effective on hard to access muscles in the leg area. This product is recommended by trainers, therapists and fitness professionals. This leg roller loosens knots and lengthens muscle fibres which results in reduced muscle pain, fatigue and stiffness, increased flexibility, and faster recovery time after exercise through the breaking down of lactic acid stores. It also helps to reduce and prevent cramping of muscles, and it increases blood flow to specific muscle groups when used as a warm up tool. Effective on hamstrings and calves. This leg roller is both portable and sturdy, with an almost unbreakable stainless steel core. The anti-slip polyvinyl handles are moulded for easy use, and the seven thermoplastic rollers are noise free. This product is designed for all ages and body types, can be used before or after exercise, and it comes with a free eguide which includes instructions and tips for use. This leg roller helps to release muscular and myofascial tension, compressed nerves and stiff joints. It improves circulation, releases lactic acid build up, and can reduce and prevent muscular cramping and spasms. It’s possible to use this product on all areas of the body, and is particularly effective for plantar fasciitis and shin splints. This leg roller allows you to easily massage hard to reach muscles and trigger points, which helps to improve muscle recovery, break down knots, prevent further injury and relax the muscles of the leg which can help improve sleep quality. Beneficial for shin splints and plantar fasciitis. This leg roller features nine separate rollers to release muscular tension in many areas of the body, and a robust steel rod core. The ergonomic handles are made of thermoplastic rubber and polypropylene, and these high-quality, durable materials ensure the product is water resistant and lasts indefinitely. The roller measures 17.5 x 1.5 inches and weighs 12 ounces, so it’s very portable and can be used in a variety of situations. Through regular use this leg roller will improve circulation and muscle strength, speed recovery time and help to prevent injury. It also aids in reducing muscular pain, stiffness, and trigger point sensitivity. By segmentally compressing muscles, it helps to correct imbalances, decrease hypertonicity, and reduce general effects of stress on the muscular system. This leg roller is recommended by fitness professionals, and can be used before, during and after workouts on many different areas of the body. Textured surface for extra pressure. Plastic surface doesn’t always roll smoothly. No flexibility in the rod. This portable leg roller is made from a space-age plastic which allows for maximum compression of the muscles whilst providing adequate flexibility. The eight separate rollers rotate around a central rod, and the handles are comfortable and easy to grip. This product comes in three different sizes, each with a slightly different density for a variety of uses. The smallest size is also the most dense, and is perfect for use on the leg area. This leg roller comes with instructional images and a one-year warranty against manufacturing defects, although it should last indefinitely with correct use. This innovative product helps to compress and stretch muscle groups segmentally, resulting in myofascial release, relief from muscle pain, increased flexibility, movement, strength and endurance. It’s effective in the treatment of trigger points, and helps to prepare muscles quickly before exercise. When used after a workout, it aids in the dispersion of lactic acid and quickens muscle recovery time, whilst also helping to prevent injuries. Three sizes and densities available. Flexible rod helps to reach all muscles. Smallest stick is too flexible. This leg roller features comfortable, non-slip handles, and the 2-millimeter gap between the massage rollers ensures a smooth rolling action with no pinching. The small size allows you to pinpoint hard to reach spots and help to release them, and the portability of the product means it can be used in a number of ways without needing a large space. This roller also comes with instructional online videos. This leg roller provides myofascial release which helps to reduce muscle soreness and prevent knots forming. The applied pressure aids in the stretching and lengthening of all muscle groups in the leg area, and it’s easy to vary as required. Through regular use of this product both before and after exercise, the releasing of tight muscles helps to prevent cramping, improve circulation and decrease muscular fatigue. Aids in preventing leg cramps. Plastic tends to slide more than roll. 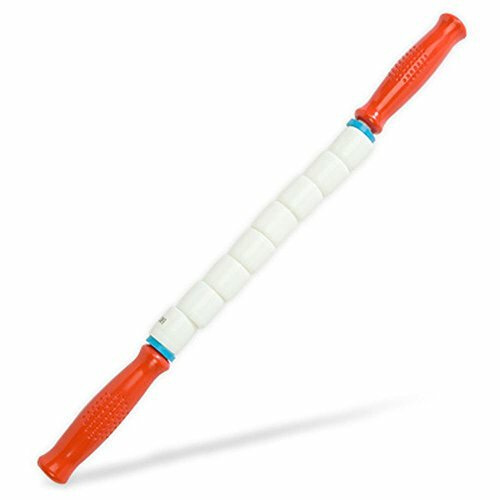 In our opinion, the best leg roller is The Fitness Room Premium Muscle Roller Massage Stick. This product is highly effective with a durable steel core, and a medium density, textured rolling surface, which was superior to that of the Physix Gear Sport Muscle Roller Stick. 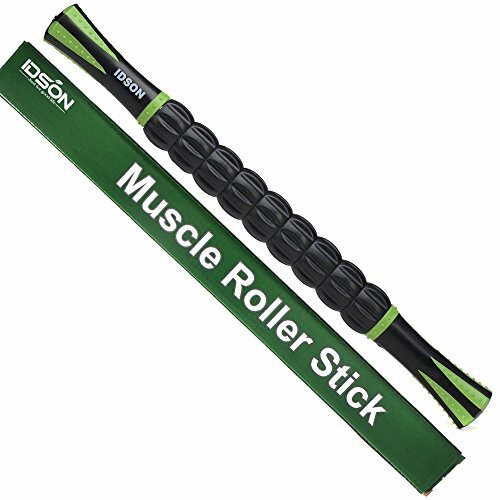 The IDSON Muscle Roller Stick did not roll as smoothly as the Fitness Room leg roller, and was also the heaviest of the products we evaluated. 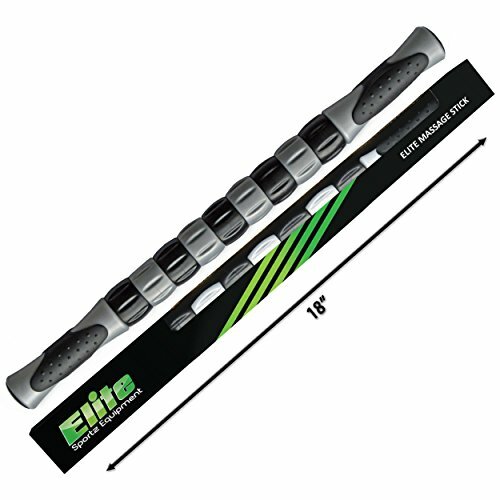 The Fitness Room leg roller is much better value than The Stick Therapeutic Body Massage Stick, and features better workmanship that the Elite Muscle Roller Stick. 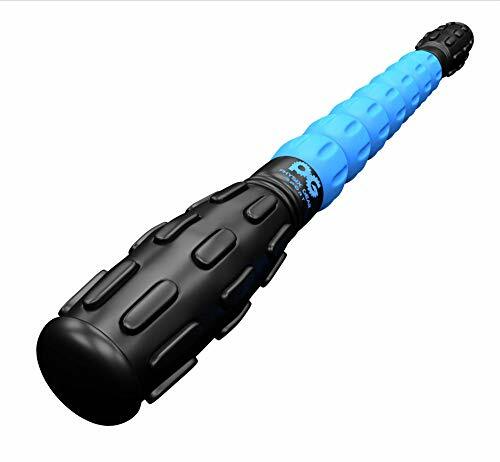 The combination of effectiveness, quality, durability and value for money make The Fitness Room Premium Muscle Roller Massage Stick the best leg roller available. What Are The Best Hot Rollers for Fine Hair in 2019? Cellulite Massagers – What Are They and Which Ones Are the Best?